Black Widow Rendezvous (7414) is one of the sleekest looking late issue sets. This is probably due to the almost uniform black coloring giving the set a real night ops feel. 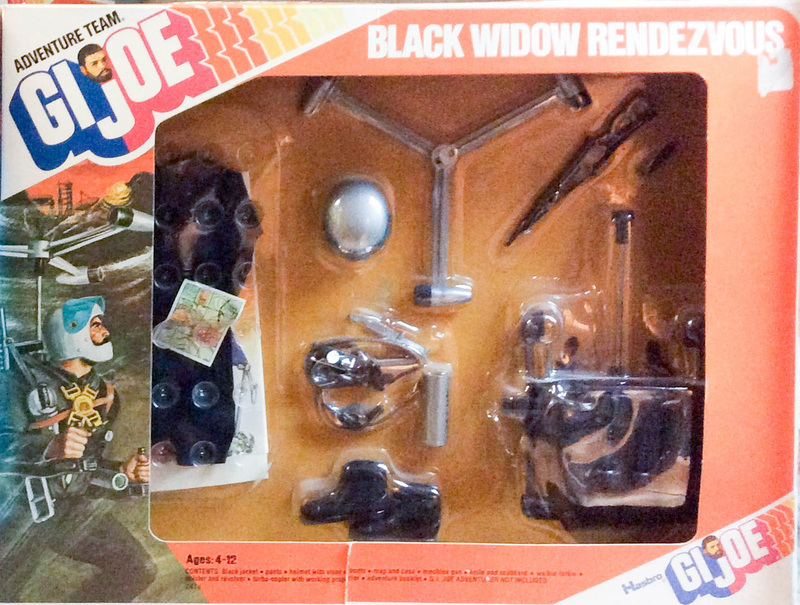 Included are a black reissue of the Turbo Copter, a silver version of the helmet from Aerial Recon, a map and cars, Sten Gun with rubber strap, a brown shoulder holster and black revolver, a silver knife and a walkie talkie. The uniform is all black with an elastic waist on the top, not unlike the shirt from Secret Mission. Image of the hard to find window box below courtesy of Chris Short. Check out his great collection here!